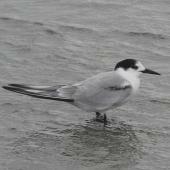 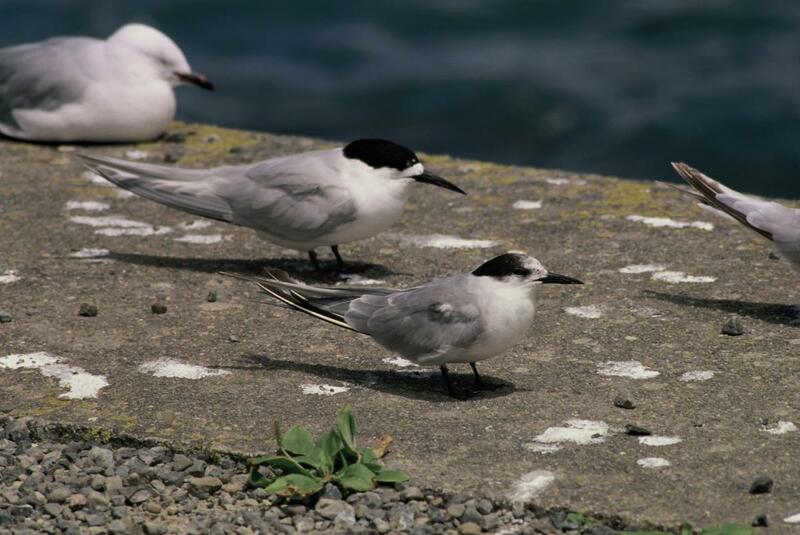 Geographical variation: Three subspecies are recognised but only the eastern common tern S. h. longipennis has been recorded from New Zealand. 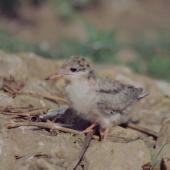 It breeds from eastern Siberia south to China. 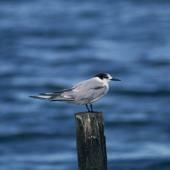 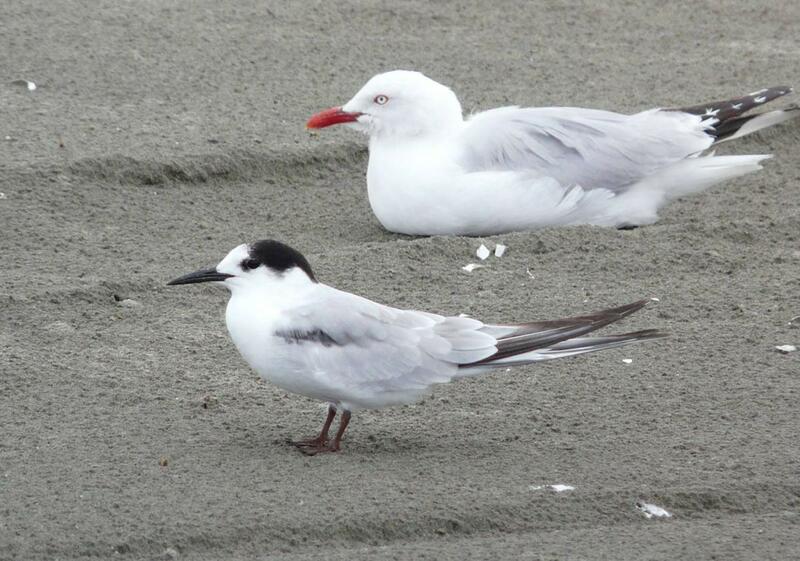 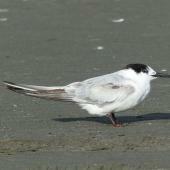 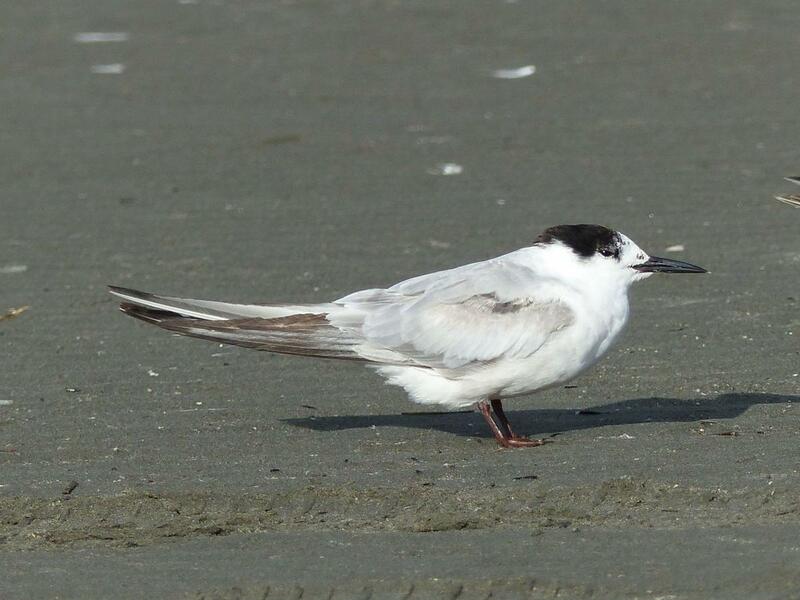 The name ‘common tern’ is a misnomer in New Zealand as this species is a very rare vagrant here. 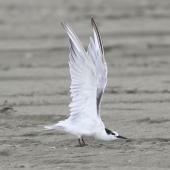 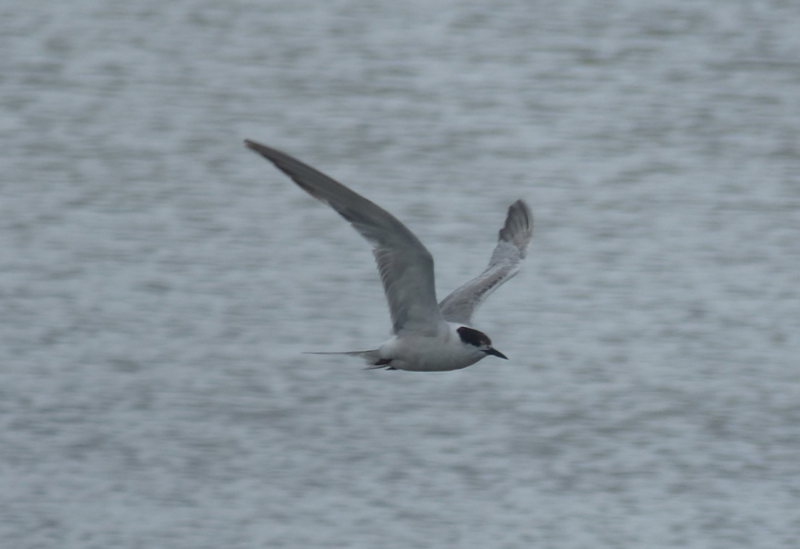 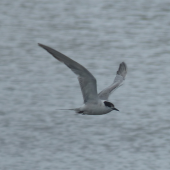 It is similar in appearance to some other tern species, particularly the white-fronted tern, and so is very hard to identify. 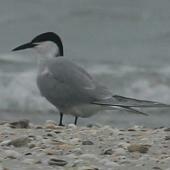 The common tern was first positively identified in New Zealand only in 1984. 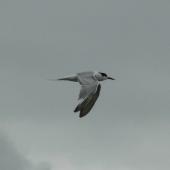 The common tern is a small to medium-sized tern which has distinct breeding and non-breeding plumages. 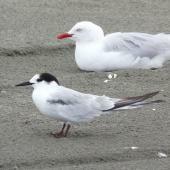 It is light grey above, has red or black legs, and a straight black bill. 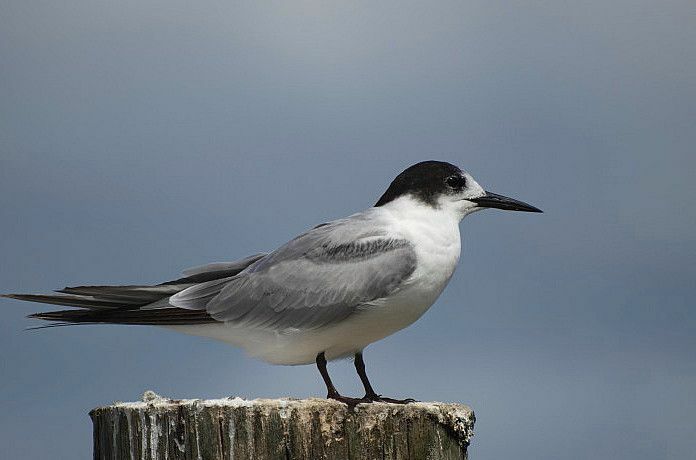 The most widespread subspecies S. h. hirundo, which has reached Australia but not yet New Zealand, has an orange-red bill with a black tip when in breeding plumage. 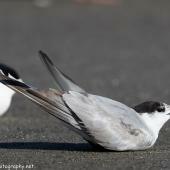 All subspecies in breeding plumage have a black cap extending over their nape and crown to the base of their bill. 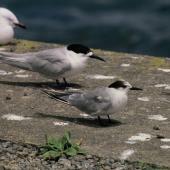 Birds in non-breeding plumage have the black cap receded to above their eyes, and have a variable dark ‘cubital bar’ on the inner upperwing. 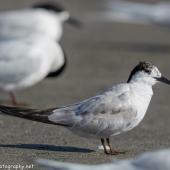 Juveniles are similar to adults in non-breeding plumage but have brown tips to some of their dorsal feathers. 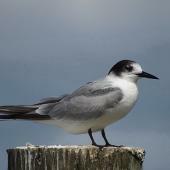 Voice: a short kik and a raspy kreer. 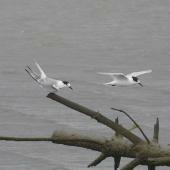 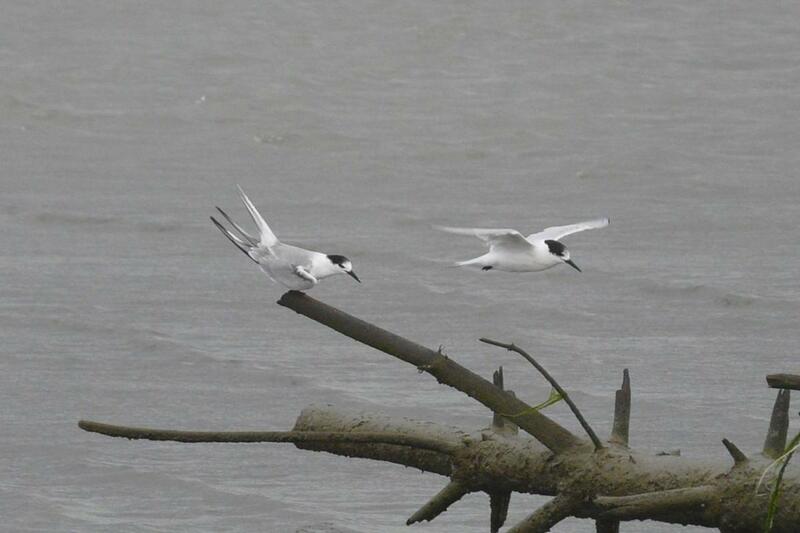 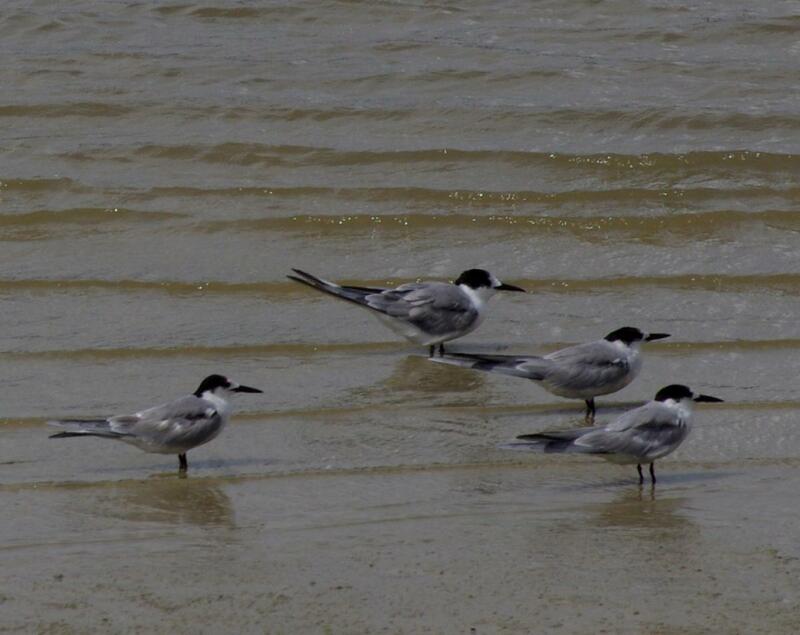 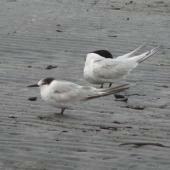 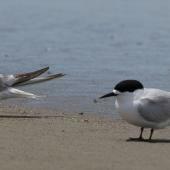 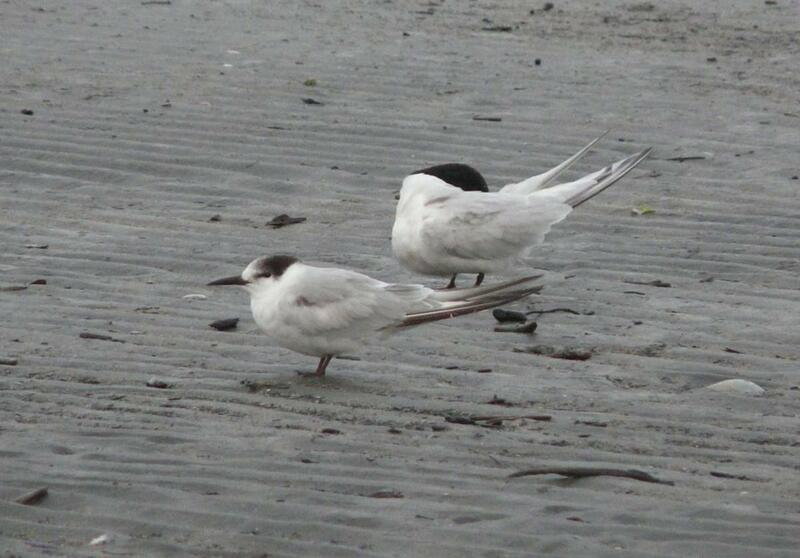 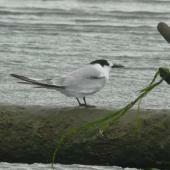 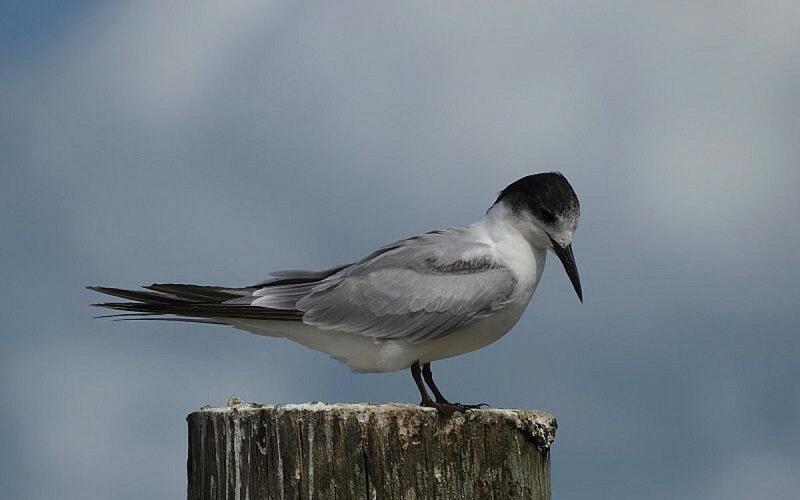 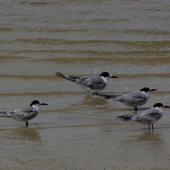 Similar species: easily confused with other medium-sized tern species and only distinguished with care. 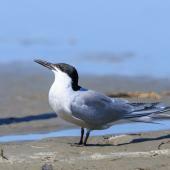 In New Zealand, common terns are frequently confused with the white-fronted tern, which is slightly larger and has slightly paler dorsal plumage. 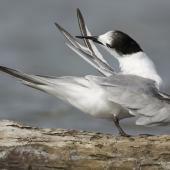 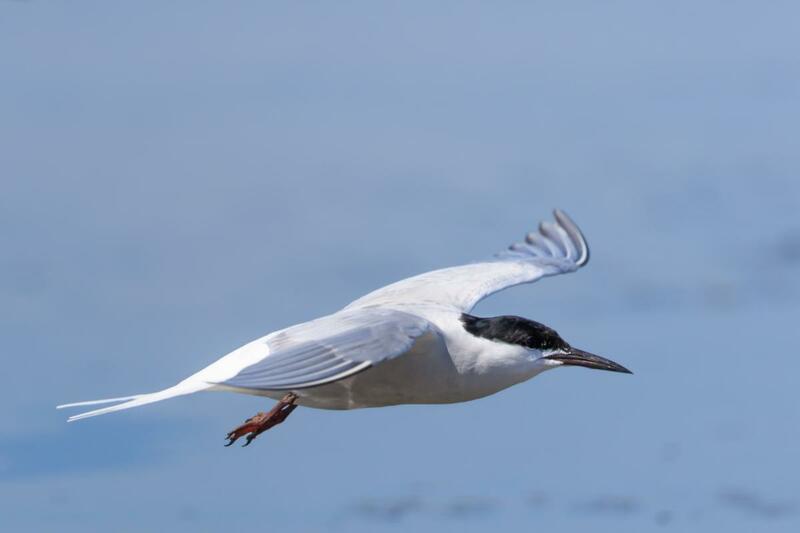 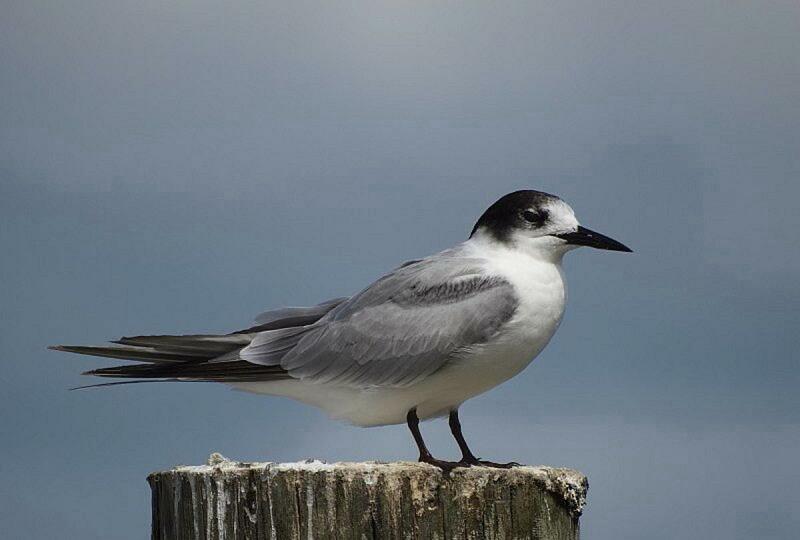 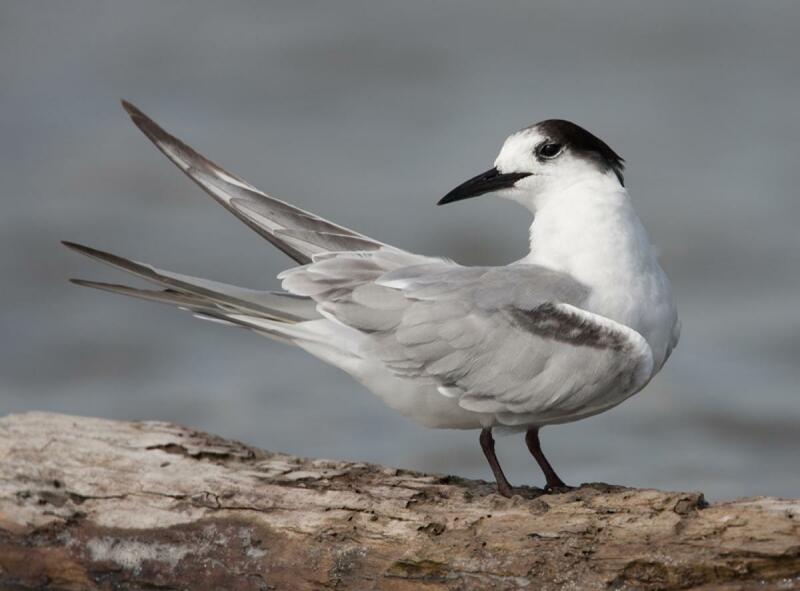 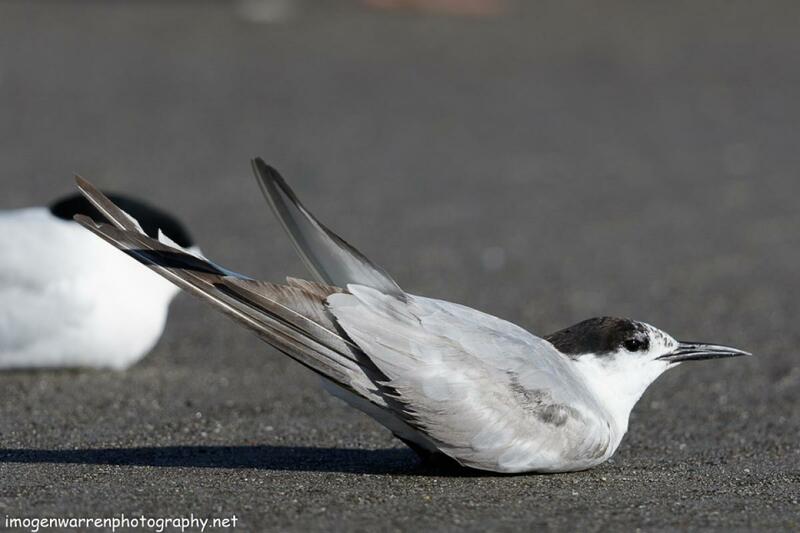 If seen in breeding plumage, the black cap of the common tern extends to the base of the bill, so it is unlike the plumage of the white-fronted tern, which always has a white strip between its bill and its black cap. 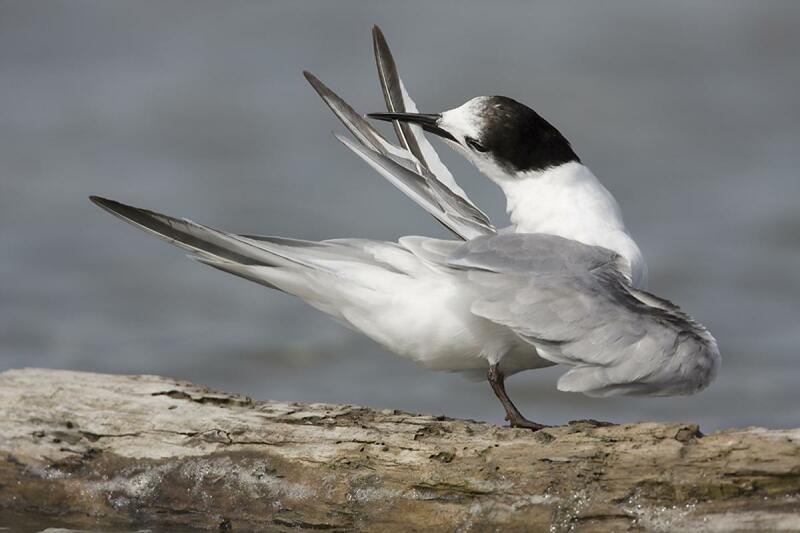 The common tern is also similar to the rare Arctic tern, which is smaller, normally has shorter legs, sometimes has a red bill, and has a whiter crown in non-breeding plumage. 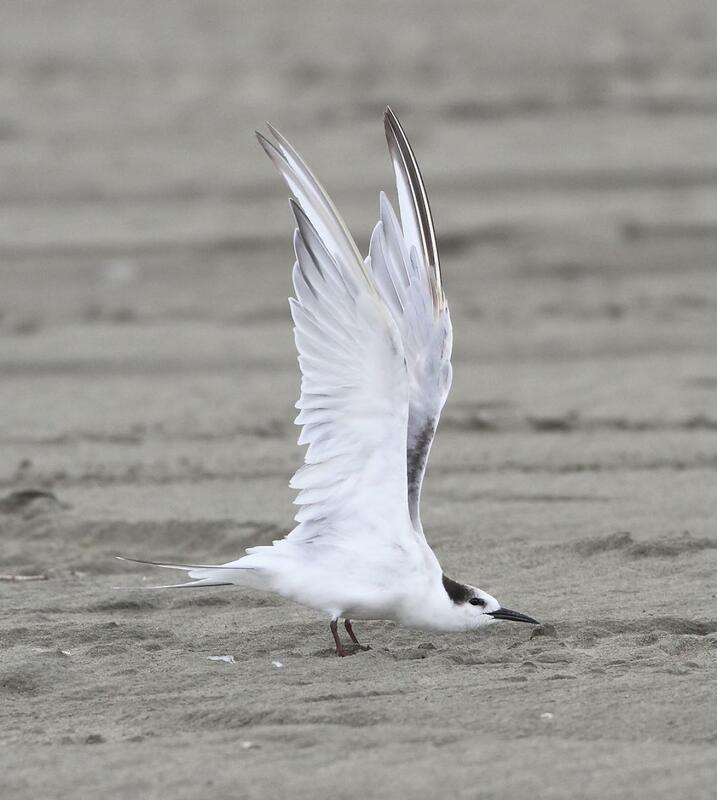 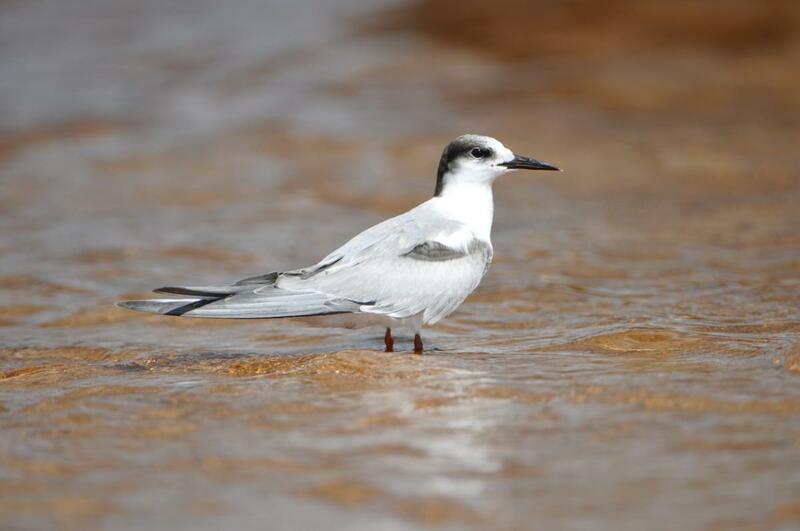 A vagrant non-breeding Antarctic tern is another species that could be confused with common and Arctic terns, but Antarctic terns have not been reported north of Foveaux Strait. 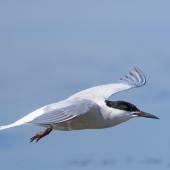 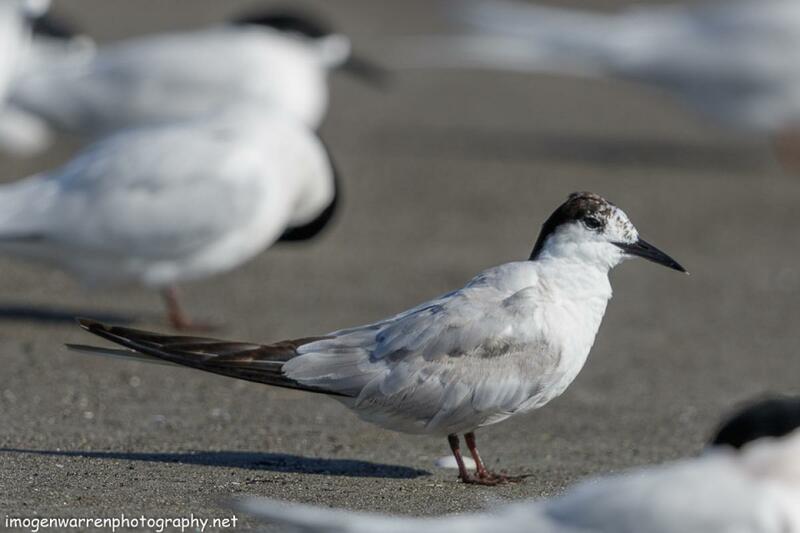 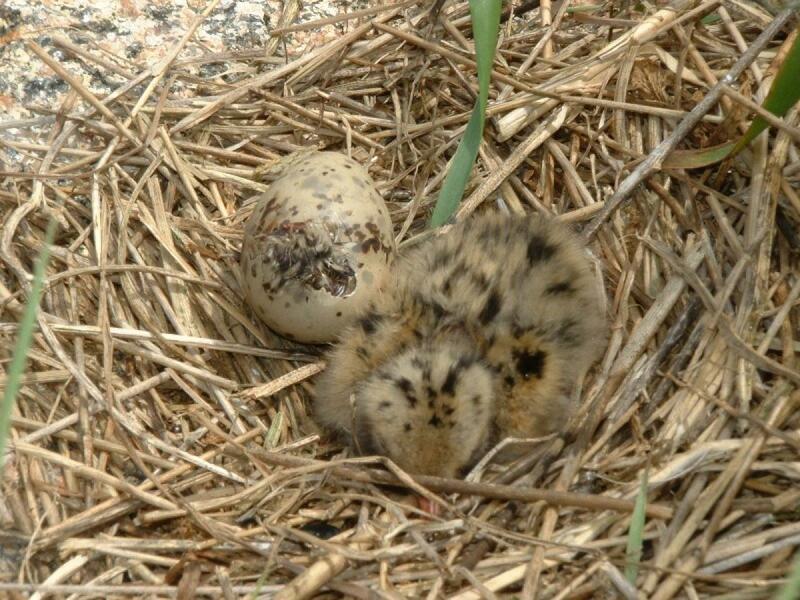 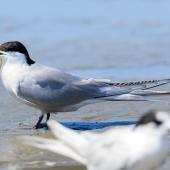 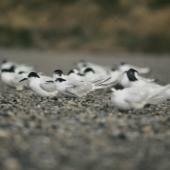 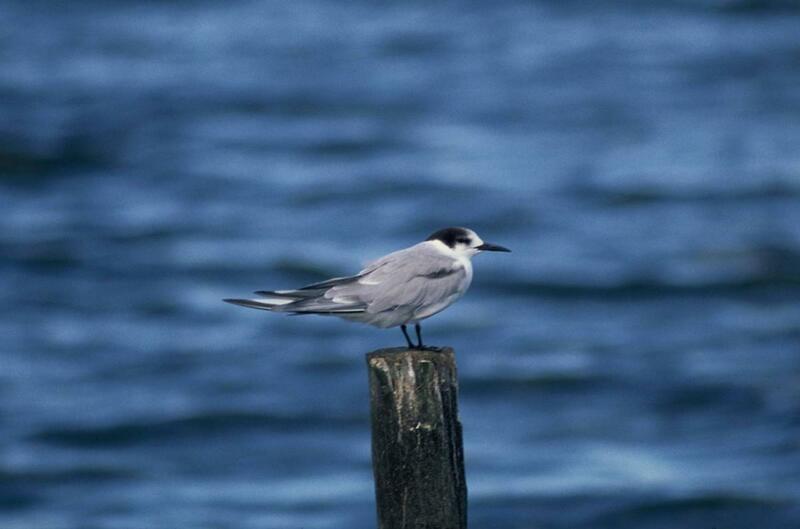 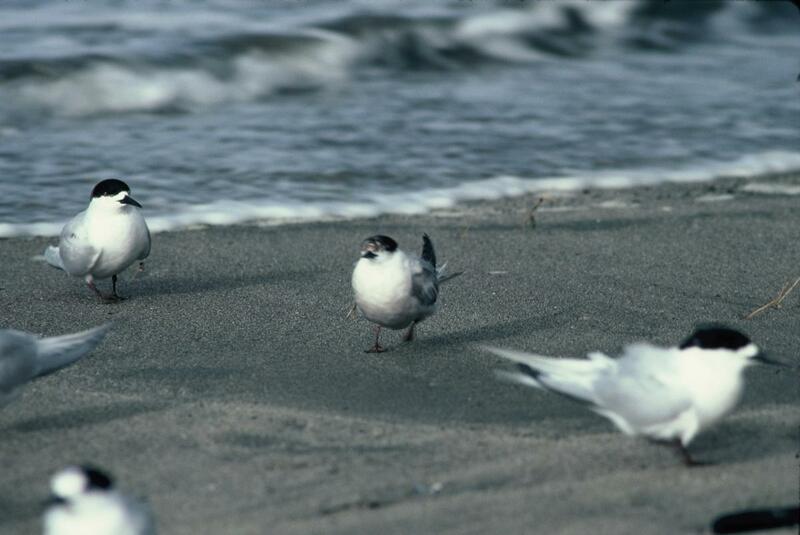 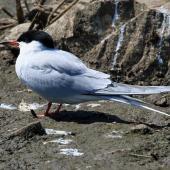 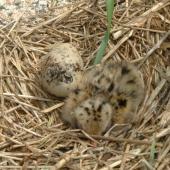 The eastern subspecies of the common tern is on its nesting grounds from May to September. 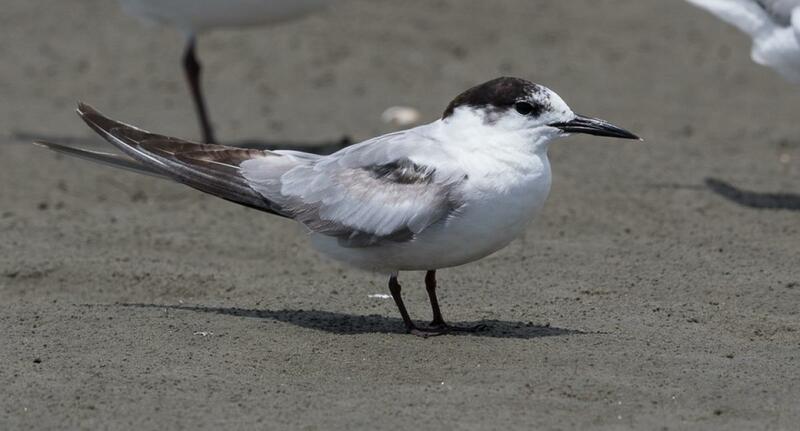 In the non-breeding season it migrates south to coastal areas including Australasia. 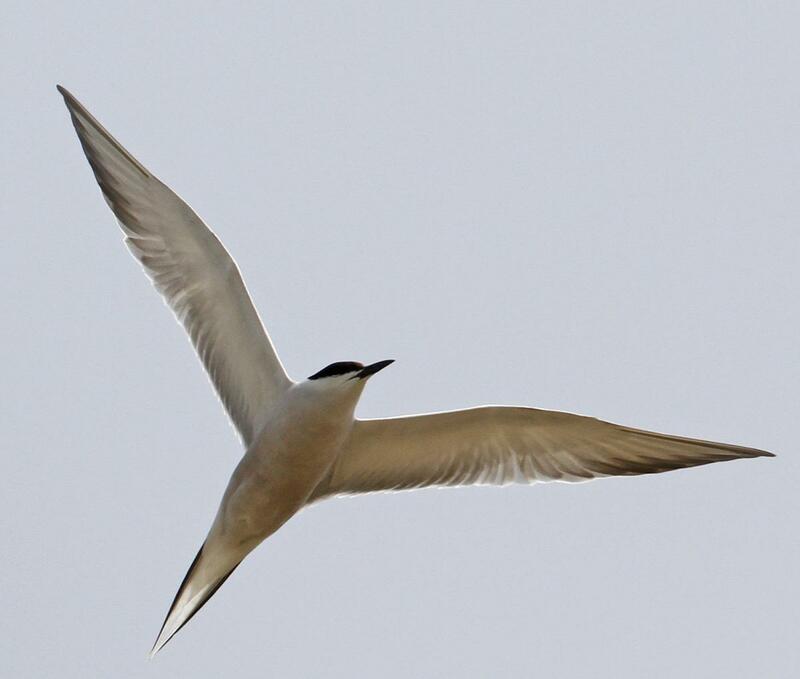 The southern migration begins in August-September and birds fly north again from February. 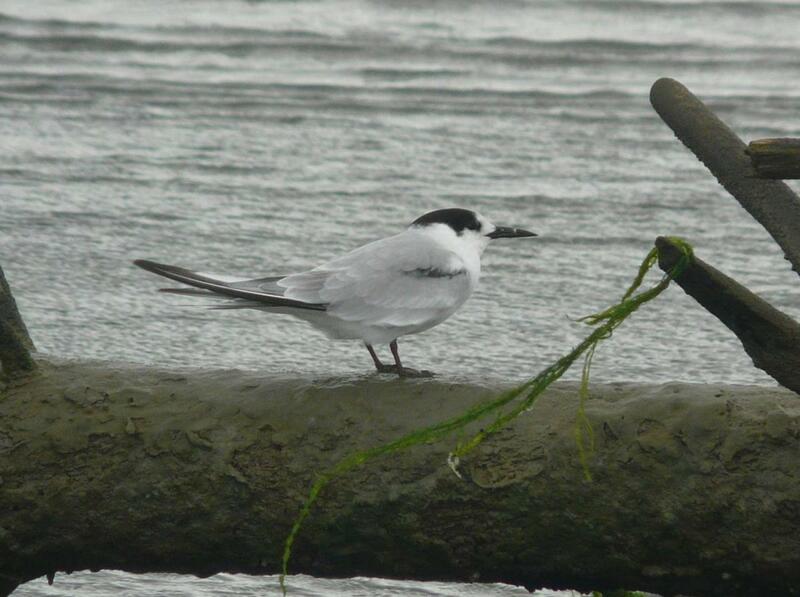 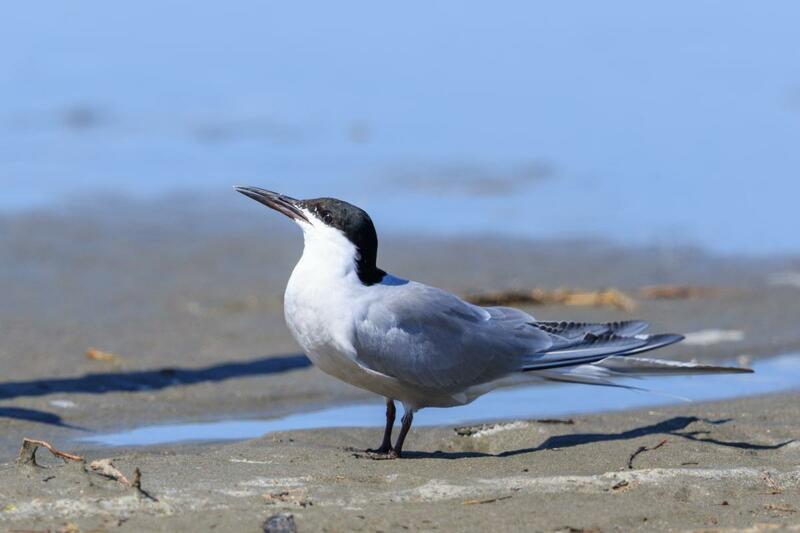 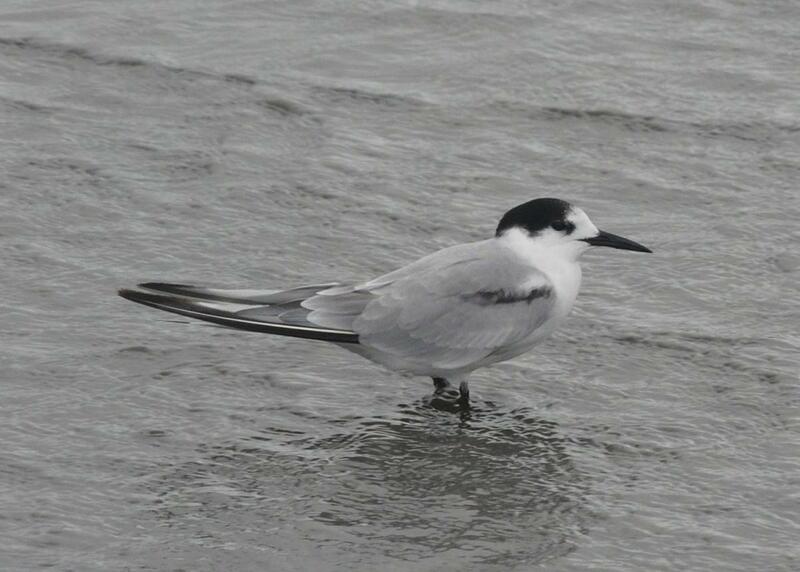 In New Zealand, common terns are mainly found on the coast, but are occasionally found on inland waterways. 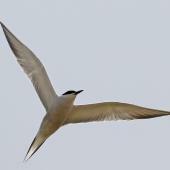 There are many pelagic records from Australia (i.e. 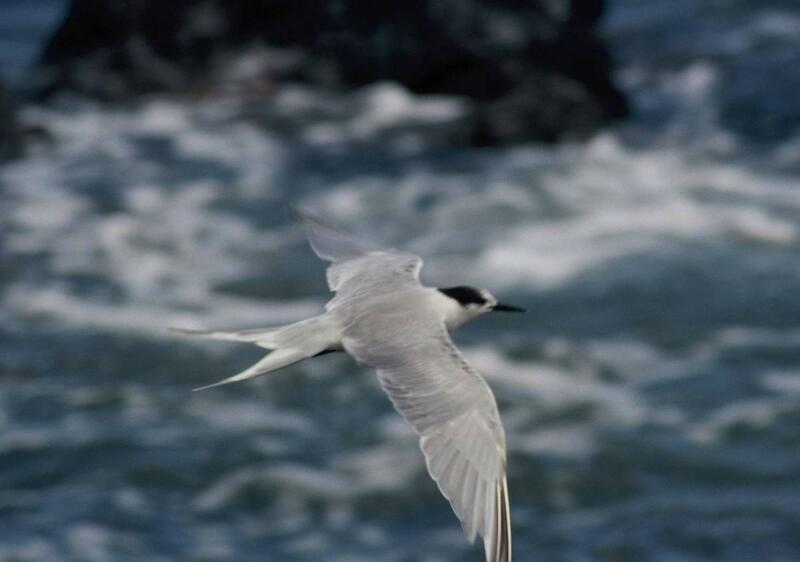 birds seen well offshore). 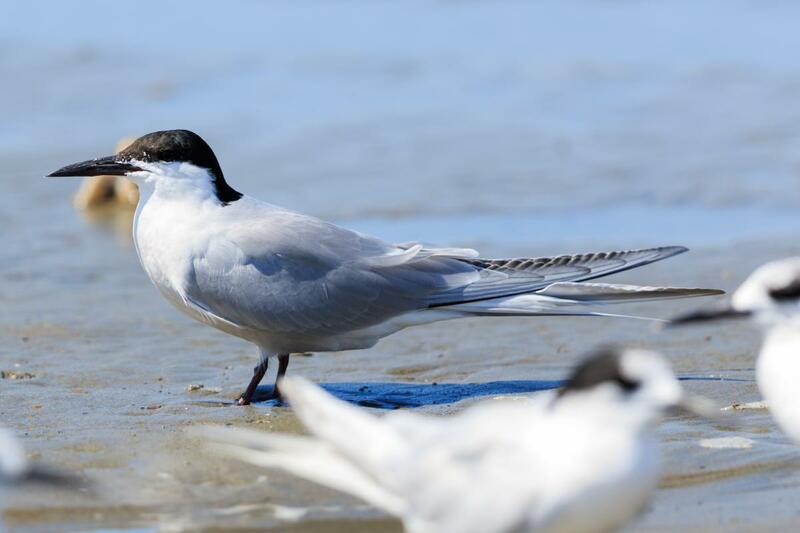 Common terns usually associate with white-fronted terns in New Zealand, but are often on the edge of a flock. 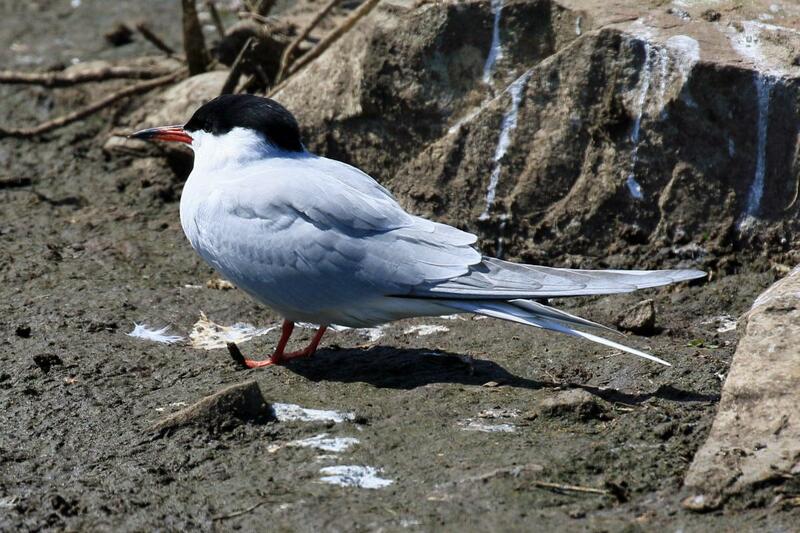 The common tern is a rare vagrant to New Zealand, but is probably an annual visitor that is often over-looked. 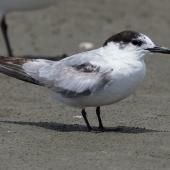 The first confirmed record was from Pukerua Bay, north of Wellington, in January 1984. 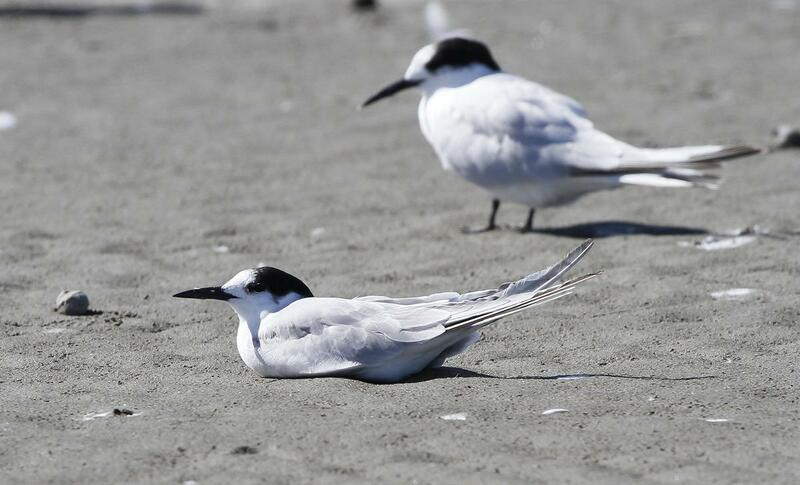 It has since been reported almost every year from locations in the North Island; there are also a few South Island records. 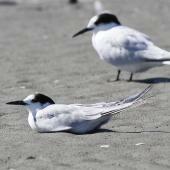 The majority of sightings have been from the Manawatu River estuary, Kapiti coast and Bay of Plenty river mouths, but this may partly reflect observer effort and awareness. Common terns are normally seen in New Zealand from November to April. 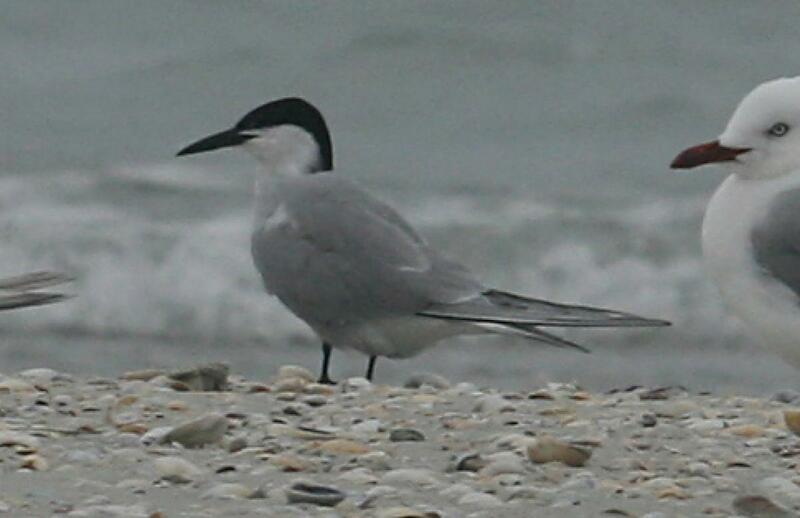 Common terns are gregarious, however most New Zealand records have been of single birds, most of which were associating with white-fronted terns. 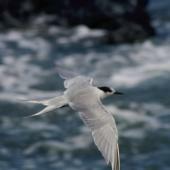 Prey (mainly small fish) is normally taken by surface or shallow plunging and occasional dipping. 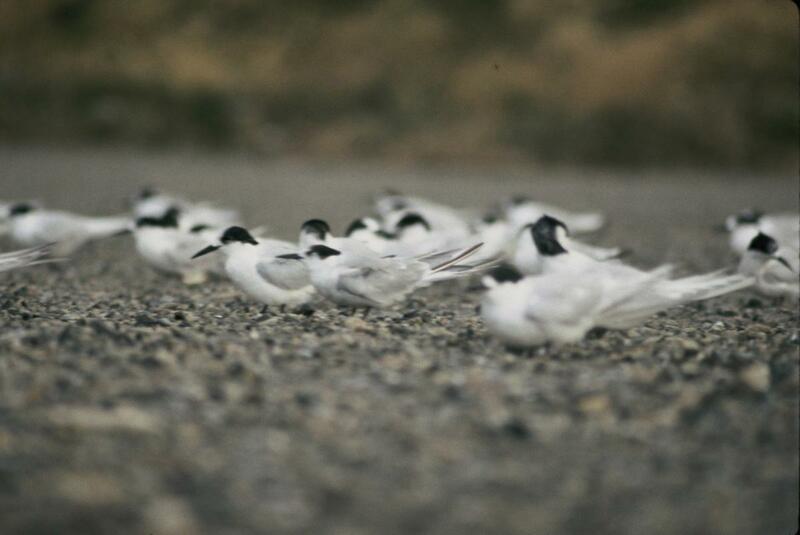 There are no diet data from New Zealand. 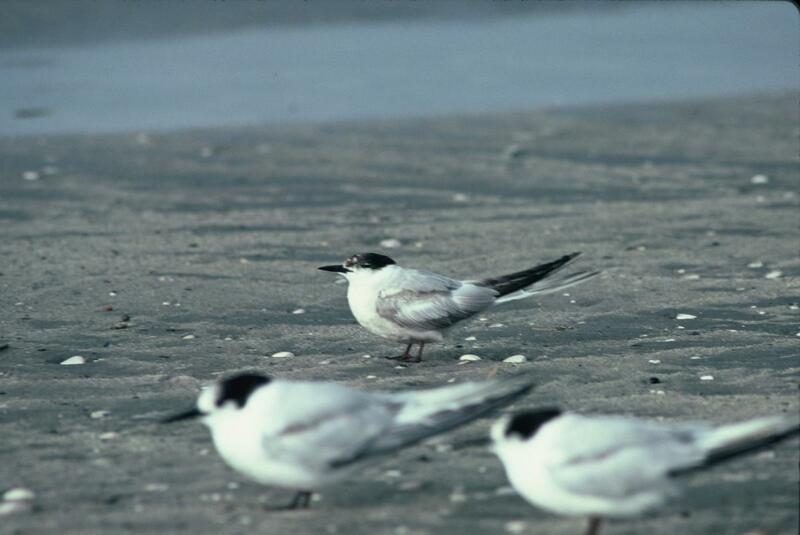 Guest, R. 1992. 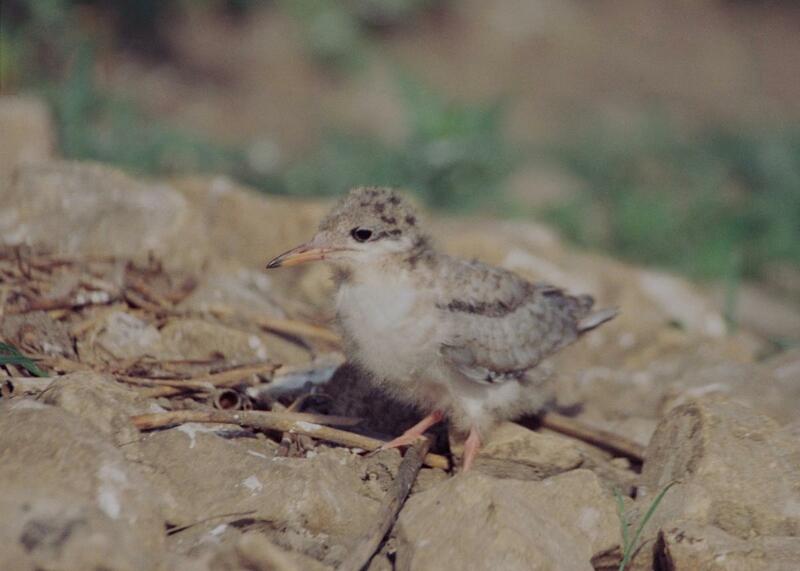 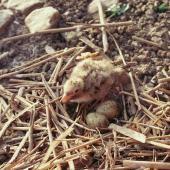 Rare bird reports in 1991. 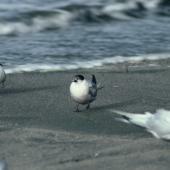 Notornis 39: 319-321. 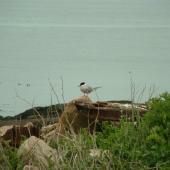 Heather, B.D. 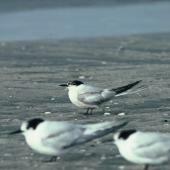 ; Robertson, H.A. 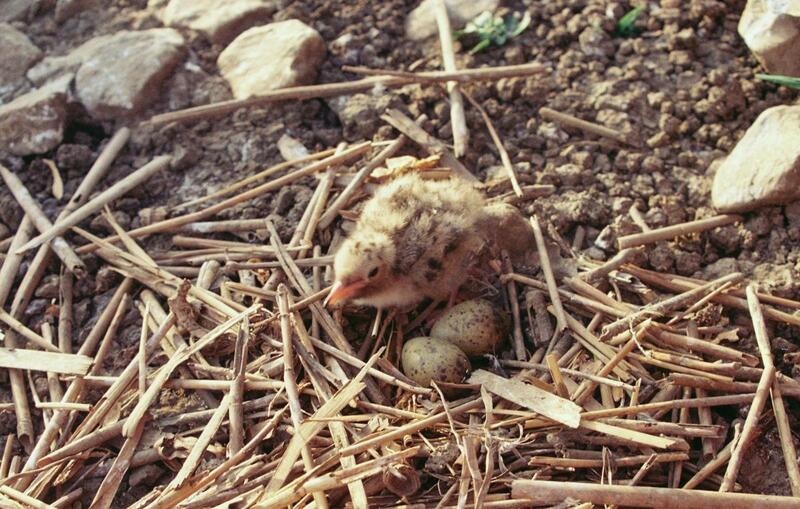 2000 (revised edition). 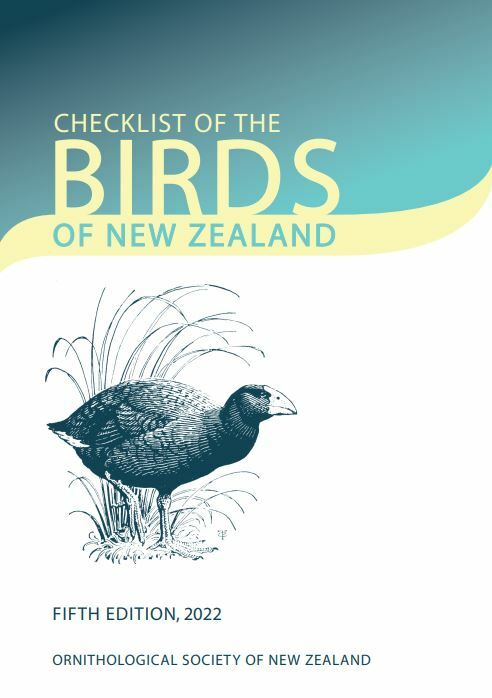 The field guide to the birds of New Zealand. 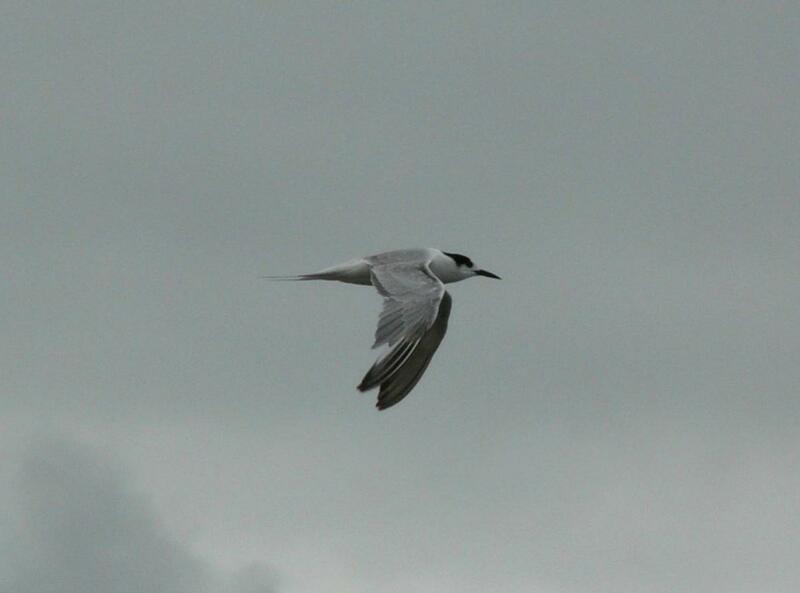 Viking: Auckland. 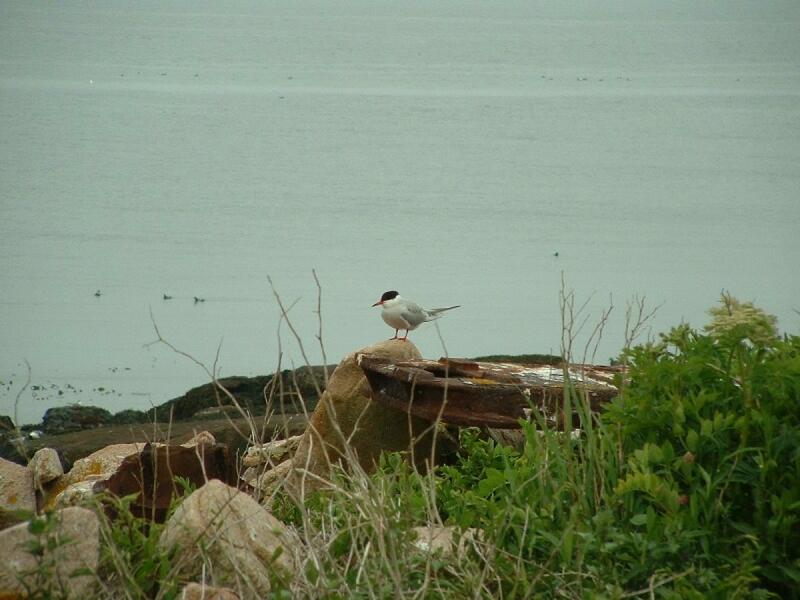 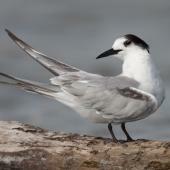 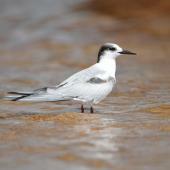 A medium-sized tern with pale grey upperparts, red or black legs, and a straight red or black bill. 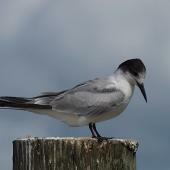 Breeding plumage adults have a black-tipped red bill, a black cap extending over the nape and crown to the base of the bill; non-breeding adults have a white forehead and fore-crown, black bill and legs, and a variable dark bar on the inner upperwing.